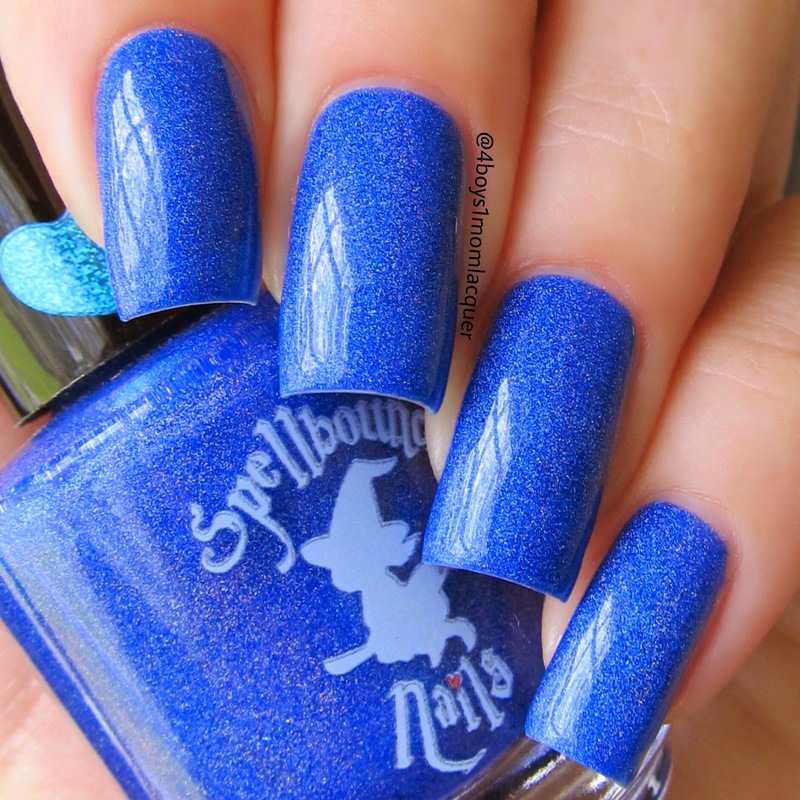 Today I have some beautiful polish to show you that is made by Spellbound Nails. 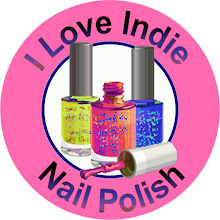 These polishes will be now sold in Gloss48. The sale for these shades start today July 7th at 11am.The sale will run for a week.Let's go ahead and take a look below! This is a beautiful lavender polish packed with flakies. I applied 2 light coats and a top coat.This polish has a natural gloss shine and applied really smooth.This polish also glows in the dark. This shade is a part of the Gloss48 Exclusive Duo.The shade was made special to sell at Gloss48. This is a beautiful clear base holo glitter topper with various colors and shapes. I applied 1 coat of Confetti Cannon over 2 coats of Spellbound Nails/Leave the Breaks On.This polish is absolutely flawless and beautiful. Confetti Cannon is also a part of the Gloss48 Exclusive Duo. 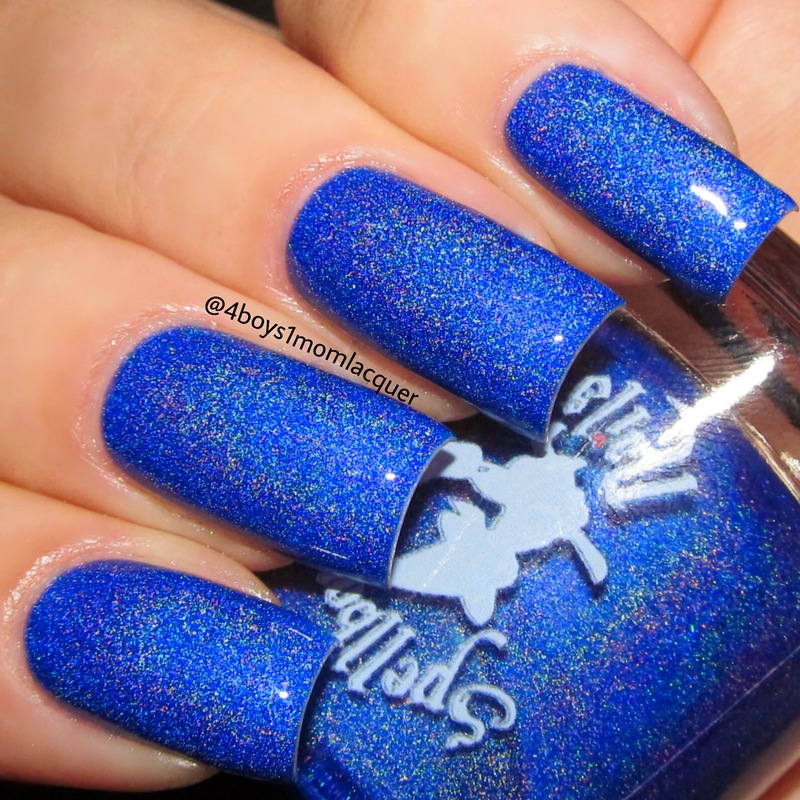 This is a stunning dark blue scattered holo. This shade will be included in a duo with Enchanted Orchid. (Not Exclusive)The other half of the duo was not sent to me. I applied 2 light coats and a top coat.The formula was perfect,no clumps,it applied smoothly. You can now purchase these duos today in Gloss48 starting at 11am for $16. The sale will last for 1 week after that you will be able to purchase these pretties at regular price. For more information on these duos be sure to follow Gloss48 and Spellbound Nails social media sites.I will post the link down below.